I've come off my Debussy Preludes burn out and spot listened to a few pieces to reaffirm earlier impressions. Monique Haas on Erato, which I was trying to convince myself I likes, I admit I don't like, at least in the Preludes. But for a brisk, unsentimental version, Thibaudet is superb. For Poetic/spiritual, Arrau. Must go back to Samson Francois. And must listen to Pollini. I found an unusual and interesting one recently which people who like Michelangeli's accuracy, timbre and coolth may care to try, it's on spotify. Bruno Canino. It made me wonder whether there really is an Italian style in post war piano playing. Martin Jones’ set isn’t even in the lower echelon of great Debussyians for me. He’s never been a pianist I’ve flocked to anyway. When you have pianists like Jacobs, Kocsis, Michelangeli, Bavouzet, Blechacz, Egorov, Cassard, among others, why in the world would I even want to hear any more of Jones’ traversal of Debussy? Then there’s the Nimbus sound --- oh vey. These two recitals represent what blows me away in Debussy Piano Playing. I know the latter is controversial, but I was blown away by 'The Snow Is Falling'. And these are the ones I'm coming back to most often for compares. 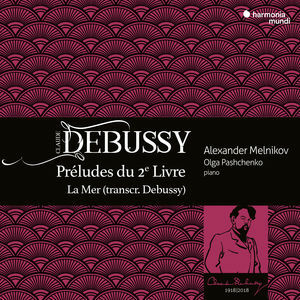 Thankfully, most all Debussy PM recordings are on YT, to make any FinalPurchaseDecision a correct and lasting one!! Can't AFFORD to get into a Debussy War with my pocketbook, and don't want to, either. I'm getting a little bit better handle on how to look at Debussy, the Piano Master. Who is his heir? Or, is his influence so absorbed by ALL, that finding it is ubiquitous? That is an interesting question. I certainly can hear some similarities in Italian pianists I'm familiar with, like Michelangeli, Pollini or Piemontesi. They all have in common certain clarity, sharpness of attack, sparser using of pedal (but not dryness as with some older generation French players), but does that constitute a national style is difficult to tell. Perhaps there is some influence across the generations, but sample of pianists I know isn't broad enough to tell with any certainty. It does make me want to hear Zecchi, Ciani, Canino and maybe some more though. Of course, Michelangeli was Pollini's teacher, so that can explain some commonality in their style and approach.